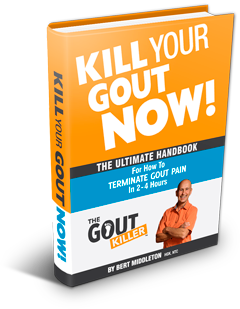 Low Purine Diet - One Tool in the Gout Toolbox! Sad but true…I tried to live (or at least survive) on a low purine diet for 13 years and STILL had horrible gout attacks, one right after another. And you could hardly call it “living”… never eating foods that were really truly satisfying, like a big juicy steak. But now, I’ve bagged the low purine diet and I NEVER get gout attacks anymore…and I eat pretty much ANYTHING I want! 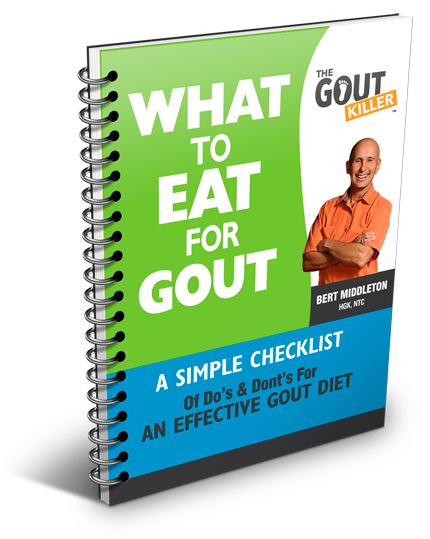 In the early stages of battling gout, it does help to stay with a gout diet low in purines until you’ve gotten your gout under control. But restricting yourself to this kind of gout diet alone will NOT completely get rid of your gout. 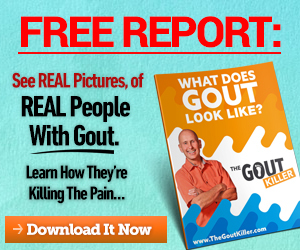 There are many other food choices as well as habits and lifestyle factors that contribute to gout, and to really be DONE with gout you gotta think big picture and know the whole story. proteins: eggs, nuts, tofu and tempeh, raw dairy products (milk, cheese, yogurt). veggies: all are ok, and celery is especially good for helping to clear out gout. fruits: all are OK, and cherries, berries and bananas are especially good for gout. drinks: mineral or ionized water, green tea, raw milk, and especially diluting good water with apple cider vinegar. Doesn’t it seem odd that almost every single website (and doctor) out there will point you in the direction of some kind of diet low in purines? 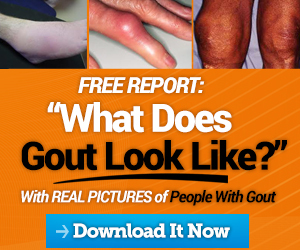 In fact, there is so much focus on it that you can easily get tunnel vision (and purine fear) and live a life of food-deprivation while continuing to suffer with gout. Here’s my theory about this: the pharmaceutical companies can only make money off us gout guys by creating drugs that tackle the uric acid element . . . and so they want us all to focus on that. This way when it doesn’t work, you will go back to your doc and beg for more drugs…and they make more money! No thanks…I lived in fear of purines for 13 years to no avail. And it wasn’t till I backed away from this tunnel vision and started to see the big picture of what REALLY causes gout that I was able to kick it for good. The “remedy” of BS and ACV worked immediately as you said it would. A steady diet of banana-blueberry smoothies, green tea and celery on Day 2 has kept the swelling down. Not sure what caused the flare up as we eat a lot of fresh fruit and vegetables, lean beef, chicken and fish, and moderate alcohol use. Your theory of too much acid, possibly caused by stress, makes sense. Will try lemon-infused water to make my body more alkaline – plus continue the bananas, celery and cherries. Other ideas welcome. The drugs the doctor prescribed were making me sick, so your remedy (other than the ACV ? was a welcome relief. Doesn’t the list above of low purine foods just make you want to jump up and down and pee all over yourself with excitement? Oh yeah right. Take it from me – you do NOT have to confine yourself to a food prison! After 13 years of living in gout hell, its been many years since my last gout attack and I eat all the good stuff . . . lobster, steak, wine, etc. Just like they say at About.com, I eat these things in moderation, not loading up on them every single night, but the point is I can really ENJOY these foods because I have made myself “gout-proof” and I know that they will not trigger a gout attack for me. You too can make your self “gout-proof” and once again enjoy ANY food without fear. + Remember! 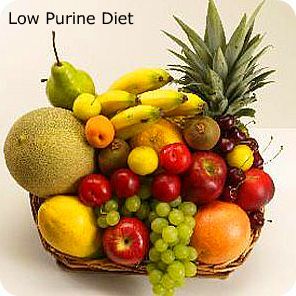 A low purine diet can help, but it’s NOT a gout cure!